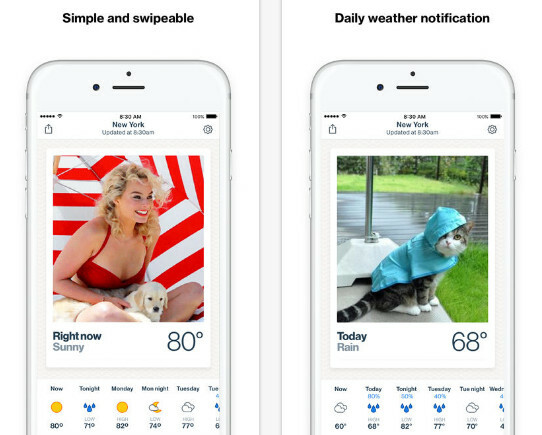 Basic Weather is the daily weather app that matches your forecast to the internet’s best hand-curated GIFs. • Daily weather notification – We’ll send you a push notification every morning with today’s weather and a GIF designed to make you smile. • Simple and swipeable – Open the app anytime and swipe through your five-day weather forecast. Everything you need, nothing you don’t. • Share with friends – Impress and delight your friends by sharing weather GIFs. • Pinpoint accurate weather – Basic Weather may be a party in the front, but it’s serious weather science in the back.